Have a plan and an emergency contact buddy before leaving to go hunting for deer, turkey, or geese. Let someone know where you’ll be and when you plan to be home before you go. Keep emergency devices, such as cell phones, walkie-talkies and flares handy, either on your person or in a bag or backpack that you keep close by. Include a first aid kit with your emergency devices, so that you can treat minor injuries. This also affords you the ability to treat larger injuries while waiting for help. Always wear hunter orange when hunting on Lost Quarter Farms property. This ensures that you aren’t mistaken for a deer (brown or camo) or turkey (red, white, blue or black). An orange hat, jacket, vest, or other bright orange colored item of clothing will help identify you as a human and not a target. If you do not own clothing gear, field dressing is available for an upcharge. Do not drink or use drugs prior to or while hunting. They impair judgement and put everyone, including yourself, at risk. Don’t try to drive turkey, deer, or geese toward another hunter. Allow the animals to come to you. Keep the gun’s muzzle pointed in a safe direction until ready to shoot. The definition of “safe direction” is any direction in which you cannot harm another person if the gun is fired. Watch for what is behind your positive identification of your target (deer, turkey, or goose) before firing. Do your best to not turn off your safety until you are ready to fire. This ensures that you can’t accidentally fire and potentially hurt someone. Keep your finger outside the trigger guard until you are ready to fire. This is another method of ensuring that you can’t accidentally fire and injure another hunter or yourself. Wash your face and hands before eating after hunting, especially if you discharged a gun of any size. The lead found in bullets leaves a residue on exposed skin, which can be ingested via hand to mouth contact. Common health problems of lead contamination includes lead poisoning, which is linked to kidney dysfunction, nerve damage, abdominal pain, wrist drop, cardiovascular issues, and more. 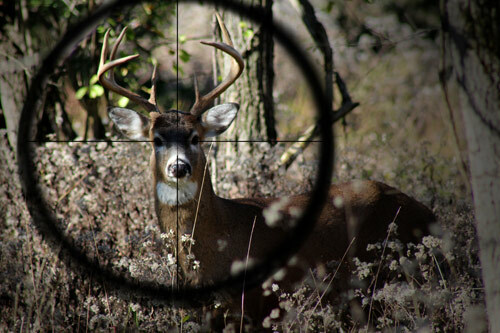 We want you to enjoy your time spent hunting for deer, turkey and geese at Lost Quarter Farms. By following these simple safety tips, you help ensure that a safe, pleasant experience happens for you, your family and friends, and our other guests. Call the lodge today at 660-533-1344 to book your hunting vacation.